Darin is one of those artists we can never get enough in any sort of appearance - on TV, in songwriting credits to songs of other artists and sure in his own new stuff. Thanx God he never makes us waiting too long and after "Lovekiller" album that due to our opinion was one of the most incredible pop-albums of 2010 Darin is already recording new songs with Anders Bagge, Niklas Bergwall and some other songwriters (check more on Poster Girl's blog). One thing looks clear - ballad period is over and Darin turns his face to something completely new, actually Niklas Bergwall? 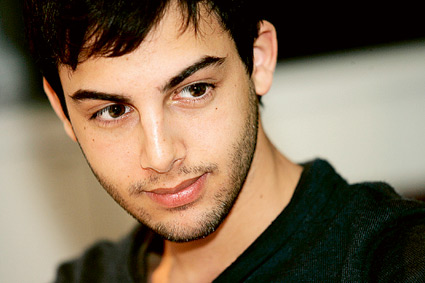 Will ballad-Darin turn to dance-Darin? Ah, who cares - we take it all! Few days ago Darin has appeared on Channel 5 to perform cover of Lisa Nilsson's "Himlen Runt Hörnet" and trust us it just can't go wrong when Darin makes this sort of intimate piano performance, it's beautiful!